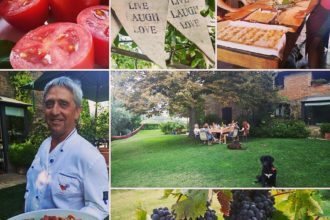 “A restaurant that pays attention to typical cooking”, “the temple of Cortona’s gastronomy” or “a place of preservation of the best Tuscan character”: those are only some of the expression used by journalists and writers to define this restaurant. 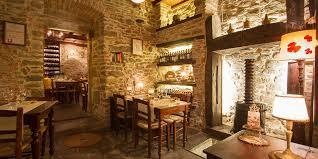 The restaurant is rated n. 3 on Tripadvisor. For us, it should be at the n.1 together with Osteria del Teatro! La Bucaccia is first of all a real typical restaurant, where Cortonese and Tuscan cuisine are celebrated every day by chef Agostina, and where the absolute respect of traditions is assured by Romano Magi, restaurant manager, refiner of doc cheeses, specialist in cured meats and, above all, a lover of the Arezzo cuisine. Romano’s firm was born ten years ago, just with the purpose to promote the finest products of the local tradition. Sometimes the owner can make you a cheese making demonstration, ask it in advance, while booking! In Summer you can book a table outside.